A Florida student was told she was 15-cents short while attempting to pay for her lunch in the school cafeteria. When she didn't have the rest of her money, her mom says that the cashier threw the food away. Kimberly Aiken's daughter is a sophomore at University High School in Orange City, Florida, and Tuesday was her first day back at school, CBS affiliate WKMG-TV reports. Her mother says it was not exactly a warm welcome. "She puts her food on the tray, gets to the front, gives her number to the cashier, and she says, 'Well, you owe 15 cents,'" said Aiken. "My daughter said she didn't have any money, so the cashier took her food." Aiken said that the worker allegedly threw away the food and her daughter -- who was not named -- spent her entire first day at school without a meal. "You want to make sure that your kids are coming to school, and they're going to be taken care of," Aiken said. "We already have all of the scary things happening, but the one thing you don't want them to worry about is are they going to be able to eat when they go to lunch?" The high school has a free and reduced-cost lunch program, which Aiken signed her daughter up for, but it hasn't taken effect yet. 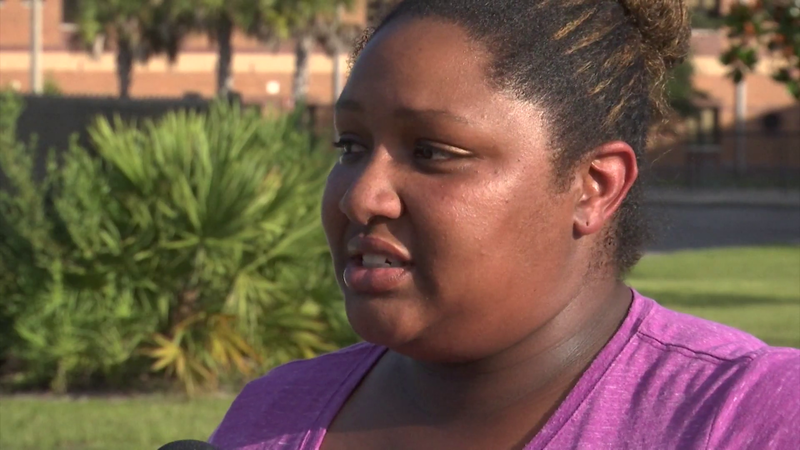 She tells WKMG-TV that the 15-cent deficit in the account must have been carried over from the previous school year. Spokesman for Volusia County Public Schools Roger Edgcomb, responded to questions from WKMG-TV asking if this was standard procedure. "The school is always willing to work with students and families as needed," Edgcomb told WKMG-TV. "The school will be contacting the family directly to help resolve this issue." Aiken's daughter brought a quarter to school on Wednesday, to settle the balance, and the cafeteria worker told her she didn't owe anything -- that the shortage was taken care of.